The Bear Grylls Ultimate Fixed Blade Knife is a great survival knife designed by the popular adventurer and TV personality in collaboration with famed knife maker Gerber. 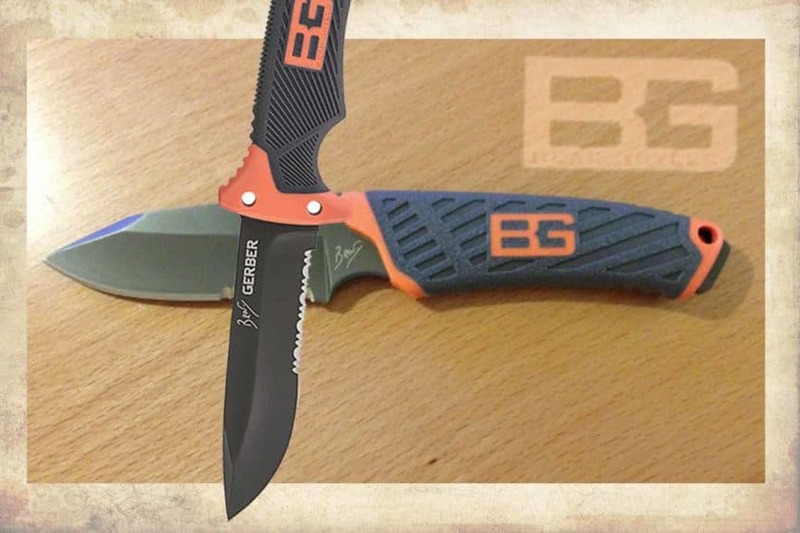 Grylls used his extensive experience in having adventures in some of the most extreme environments in the world to design a knife that would be useful to outdoorsmen and campers. Survival knives are great multi-tools that can be used for a variety of functions to help anyone deal with any sudden emergencies they may encounter while in the field. Gerber is one of the most innovative producers of survival gear in the US, with their products extensively used by professionals such as firefighters, police officers, and EMTs in life-or-death situations as well as outdoor enthusiasts who are looking for a knife that will help them deal with the toughest problems that they would encounter in the woods. Founded in 1939 to produce cutlery, the company has since grown to deliver survival knives and other gear in a variety of lines, ranging from the Military line that is designed to meet the needs of members of the armed forces for a knife that performs well under combat conditions to the Tactical line that is ideal for use in close-quarters combat. Ergonomically-designed rubber grip on the black handle that makes the knife more comfortable to use while helping to avoid blisters. In addition, the handle allows you to keep a good grip on the knife with less slippage even when your hands are sweaty. It also comes with orange highlights that add to its visibility and make it easier to find among the foliage if the knife is accidentally dropped. Handy lanyard cord comes with an emergency whistle. The set comes with Bear Grylls’ Priorities of Survival pocket guide with a lot of useful information on surviving in emergency conditions. The Bear Grylls Ultimate Fixed Blade has gotten an average of 4.4 stars out of five stars, with the great majority of reviews giving it a five-star rating. The comments singled out how the knife would be very useful in survival situations and well as its superior construction. In addition, buyers praised the accessories that came with the knife as being well-thought out and very useful for outdoorsmen in the wild, such as the fire starter. The fire starter, in particular, was singled out for being effective due to its ability to generate sparks that makes setting tinder on fire easy. In short, most people who bought this product found it a great overall survival knife that was tough enough to endure rough use. 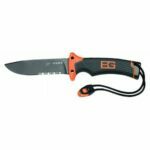 The Bear Grylls Ultimate Fixed Blade provides great value for money as it offers a terrific range of features at an affordable price. If you are looking for a survival knife that can act as a virtual multi-tool and which also has a great set of accessories, you need to add this knife to your gear the next time you venture into the great outdoors. The Ultimate Fixed Blade is rated five stars.